If you are planning a trip to Milwaukee or you live nearby, give us a call and come on over! 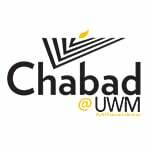 We would love to meet you and show you around the Rohr Chabad Jewish Student Center. If you will be here over the weekend, come join us for a Shabbat meal.